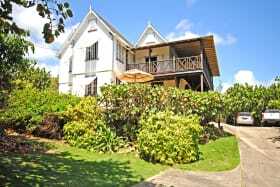 A five bedroom residence with wonderful views of the Atlantic Ocean at Cattlewash only a few footsteps from the expansive beach. 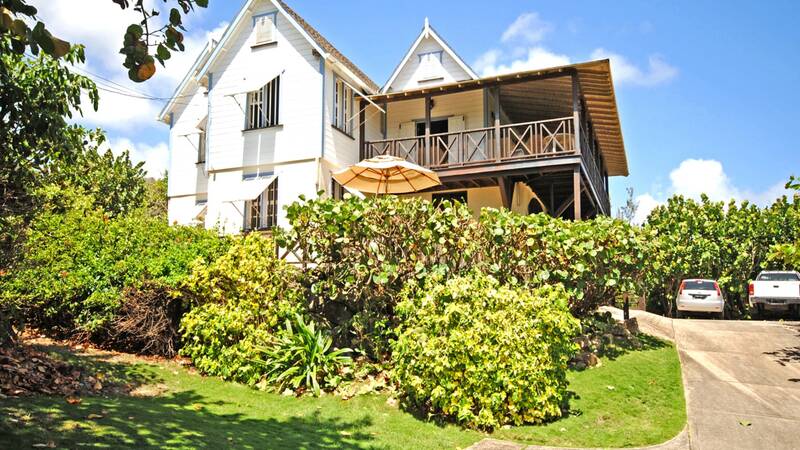 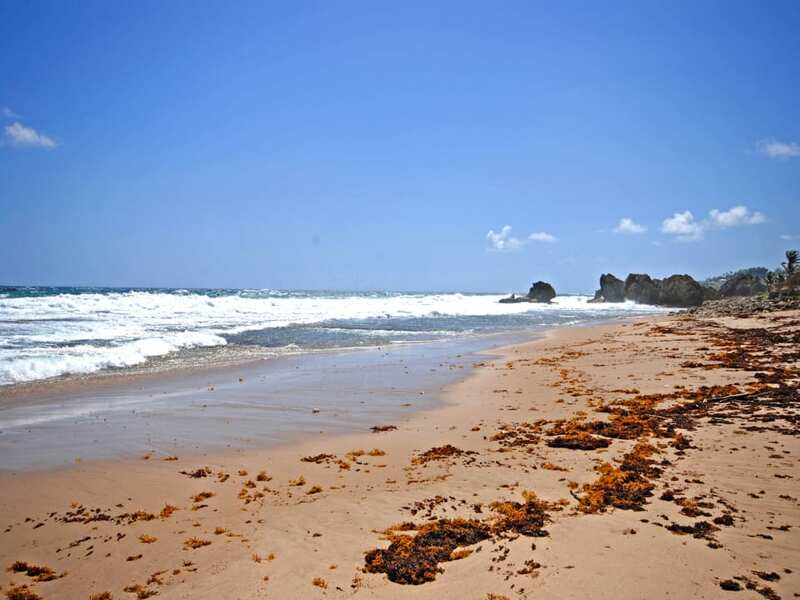 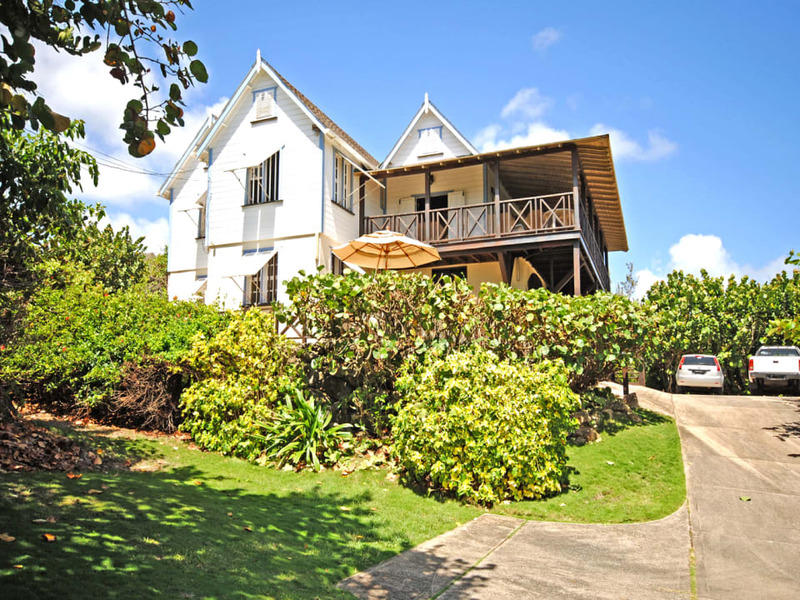 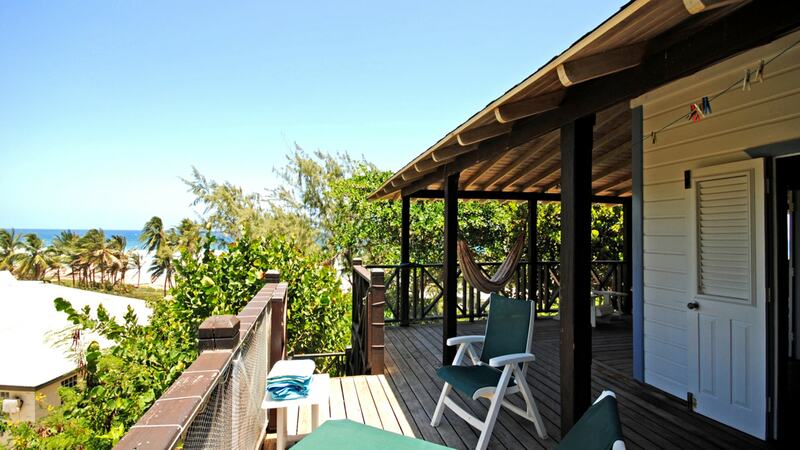 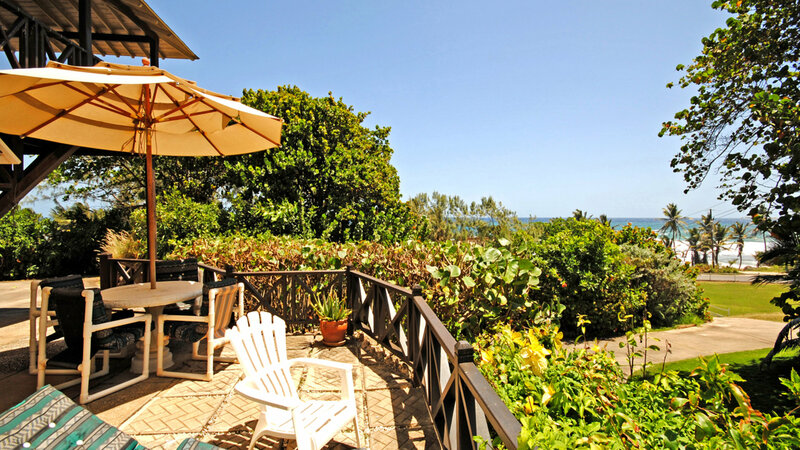 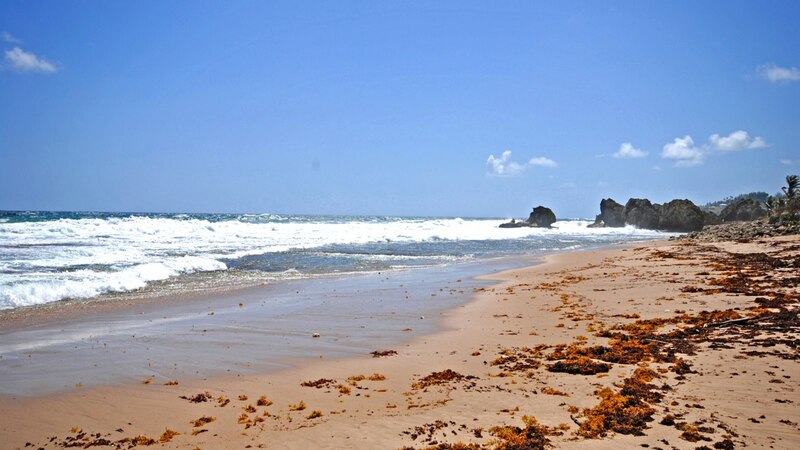 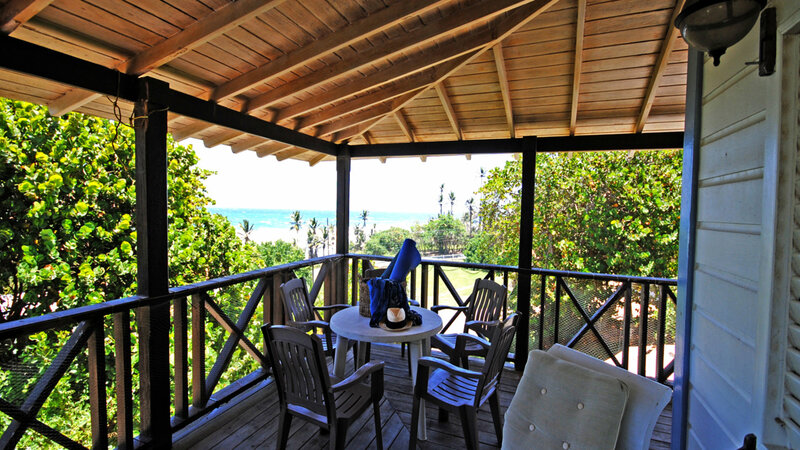 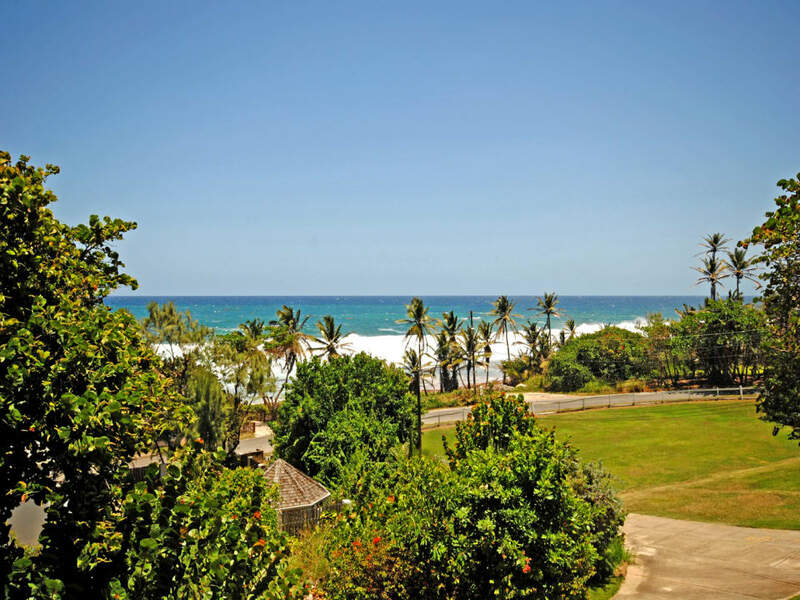 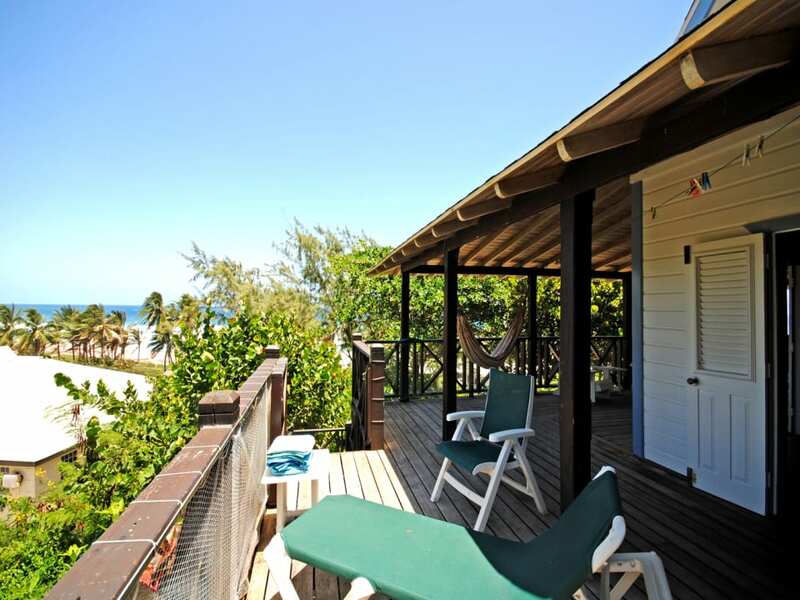 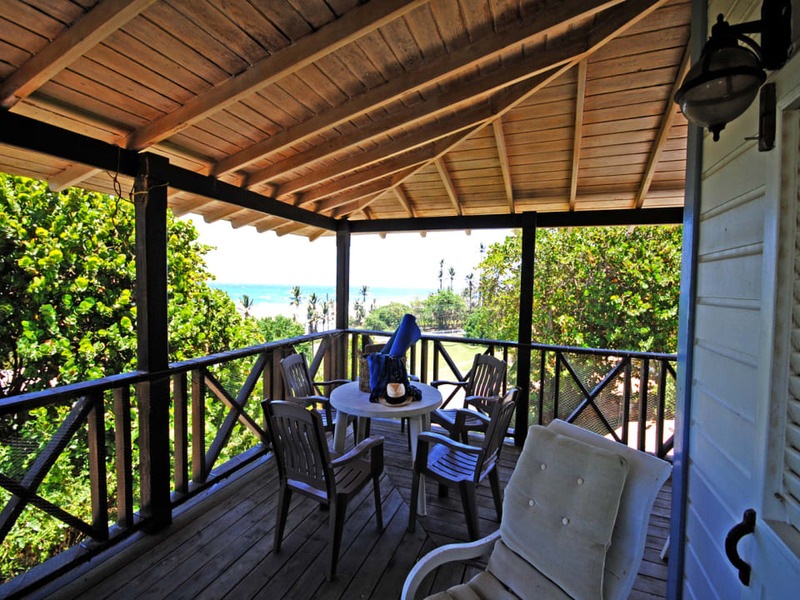 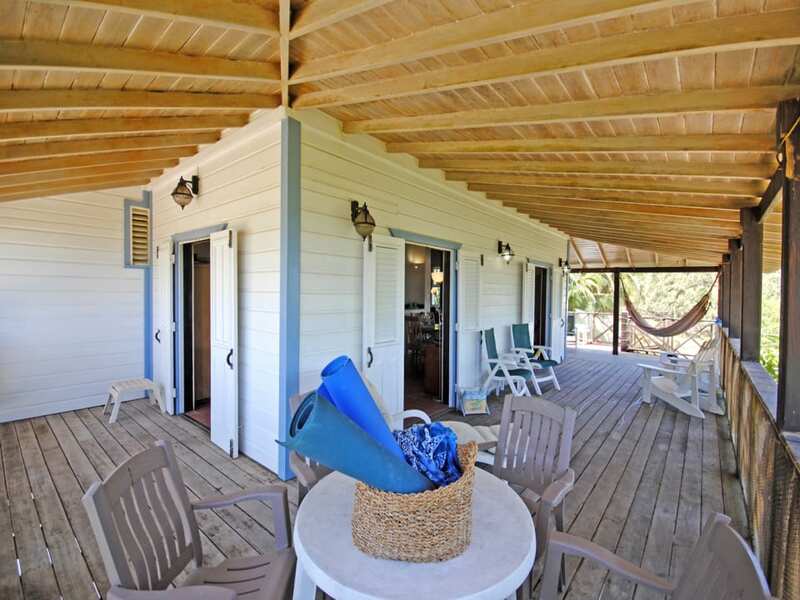 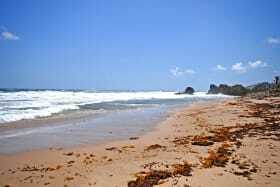 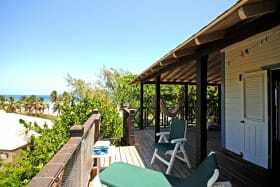 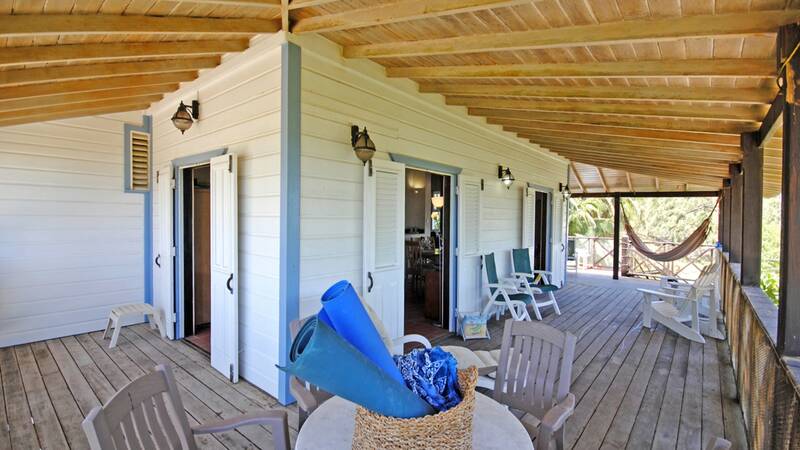 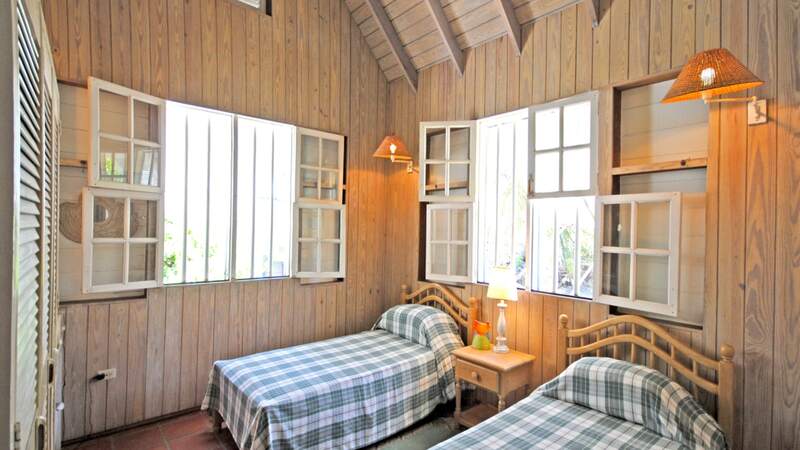 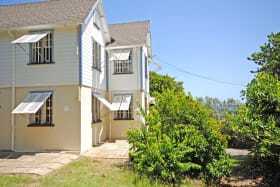 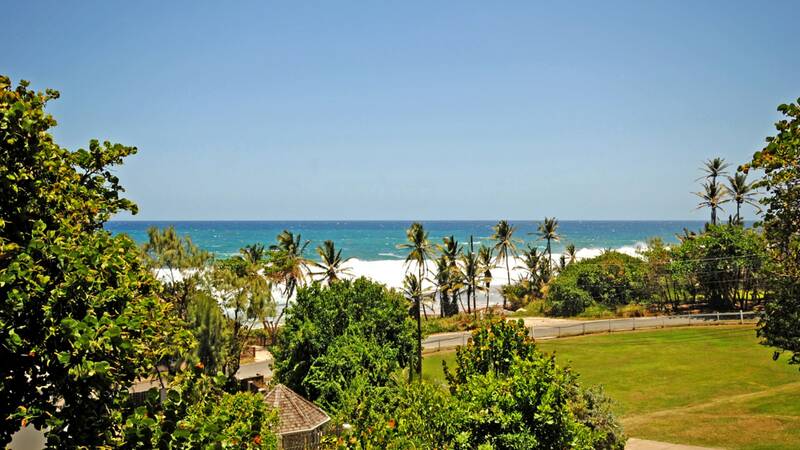 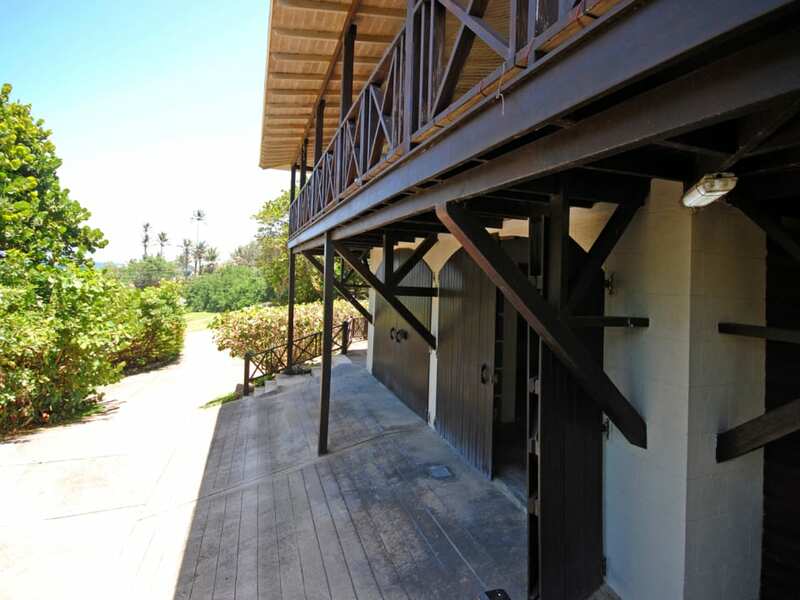 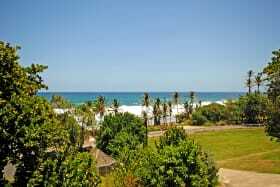 Occupying a beautiful location at Cattlewash, St Joseph, East Wind offers wonderful views of the Atlantic ocean and an incredible cooling East breeze. 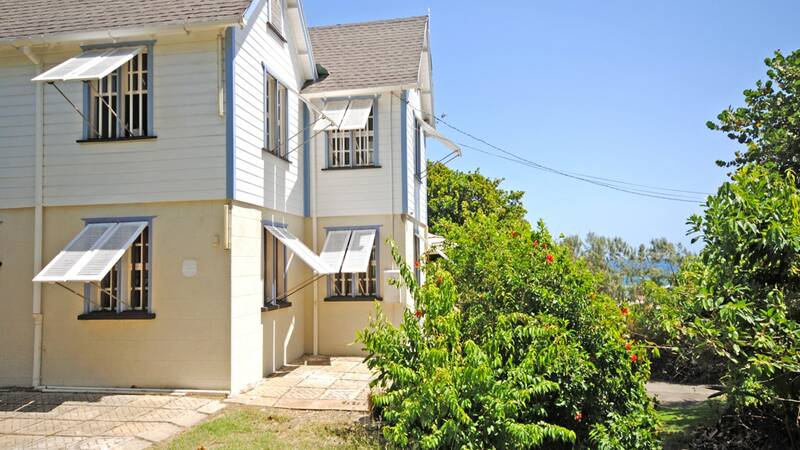 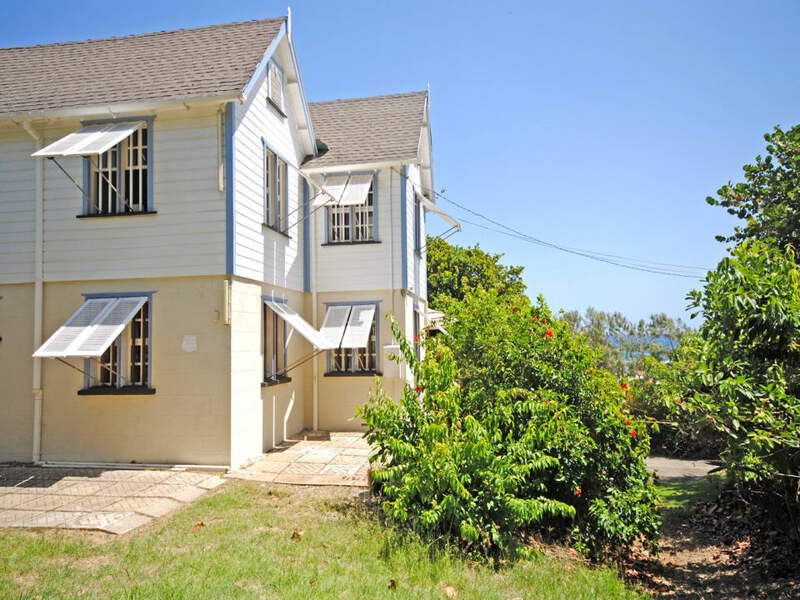 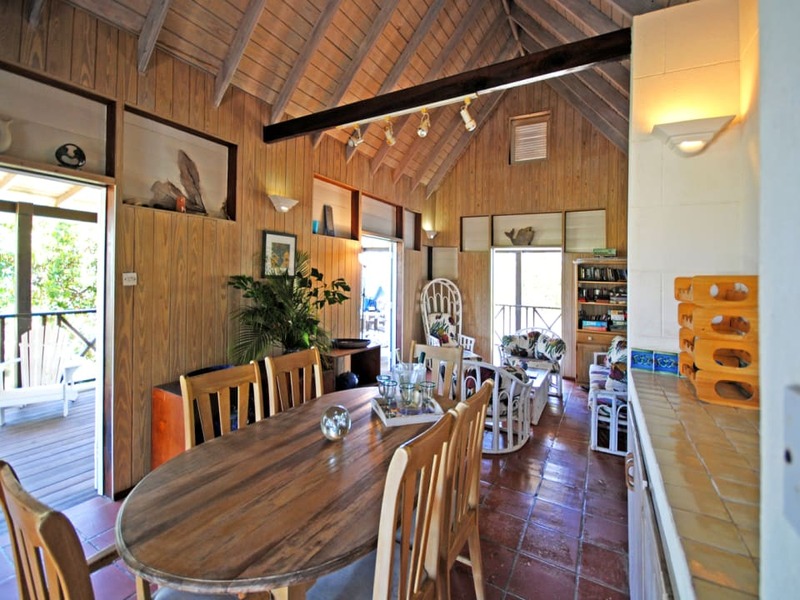 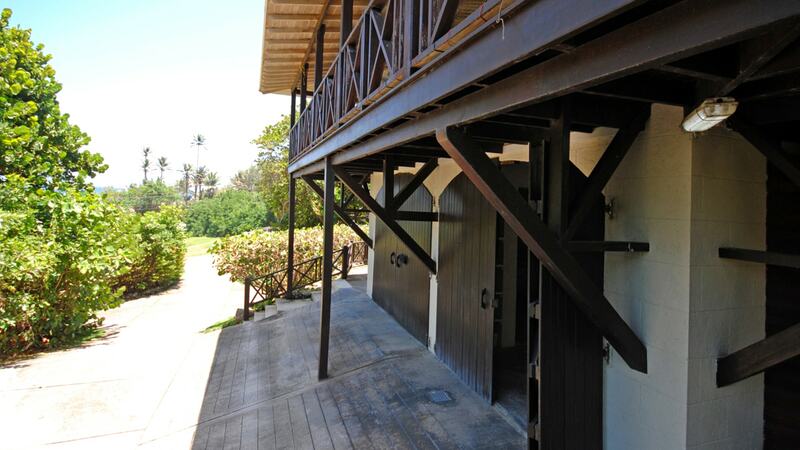 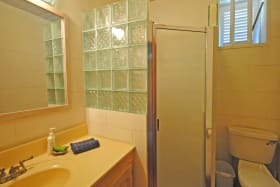 Designed by well known architect Larry Warren, this property is designed on two levels, with a two bedroom, one bathroom apartment on the ground floor and a three bedroom, two bathroom apartment on the first floor. 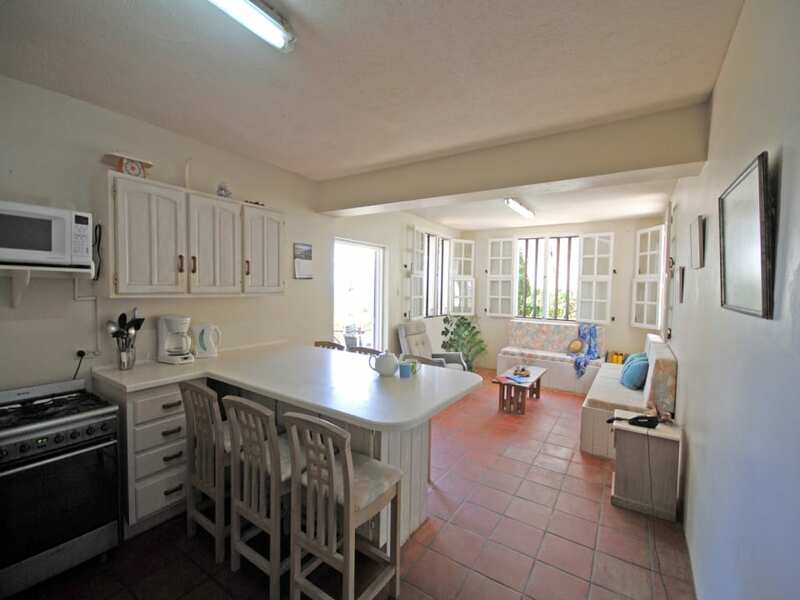 The ground floor apartment has an open plan living and dining room with push-out wooden windows and opens to an uncovered terrace. The first floor apartment also has an open plan living and dining room and both rooms open to a spacious "wrap around" covered verandah that is the perfect spot to enjoy the views and breeze. 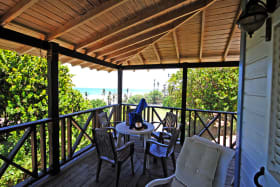 The apartments presently rent well for holiday rental and the upper apartment can be accessed either by an interior or exterior staircase. 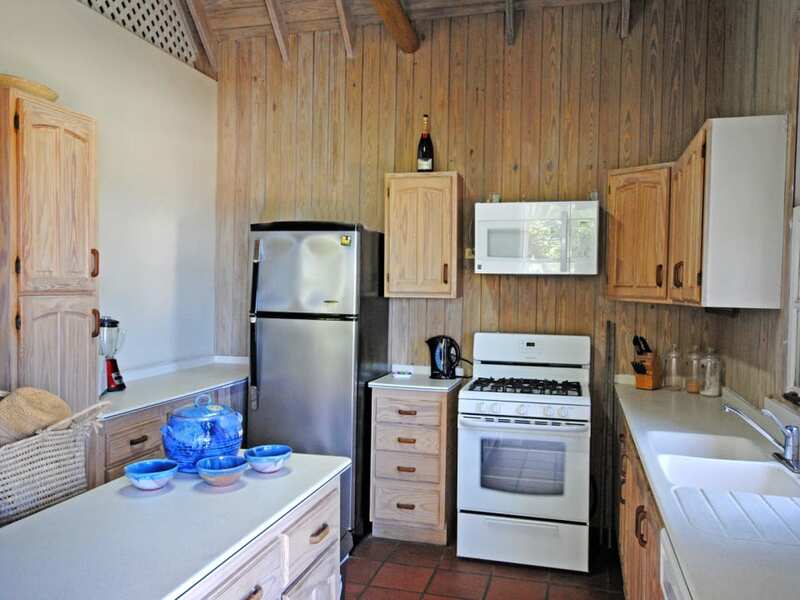 There is a double garage, store room with washing machine and freezer as well as a laundry room, also with a washing machine, freezer and sink. 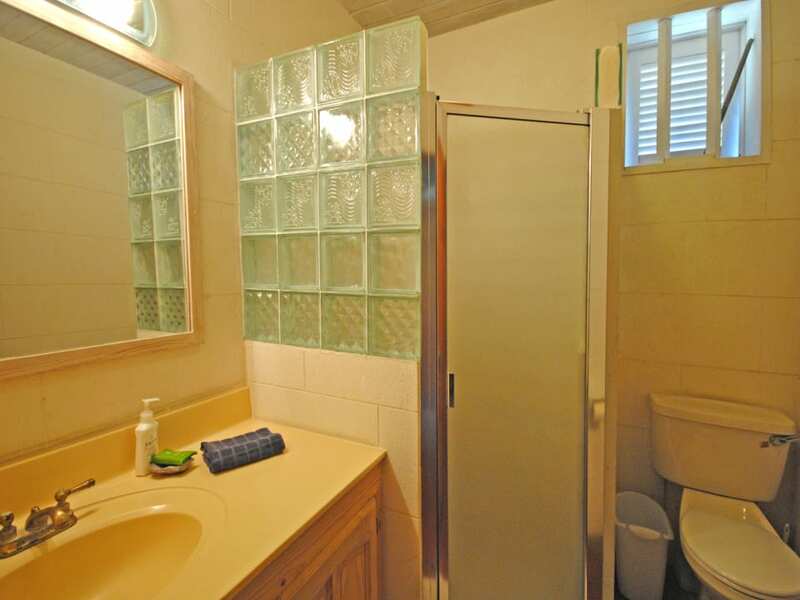 Hot water is by a solar water heater and there are two water storage tanks. 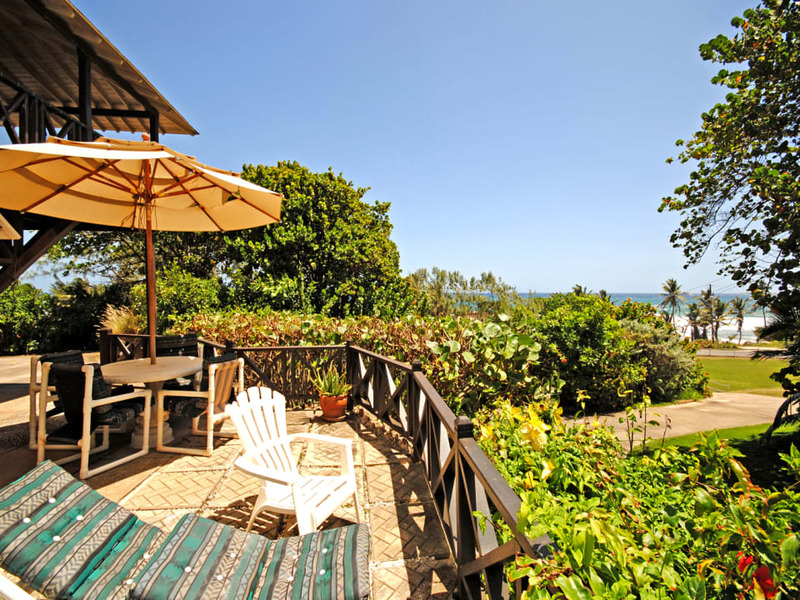 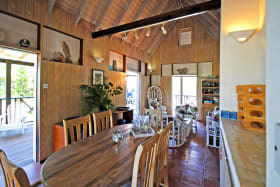 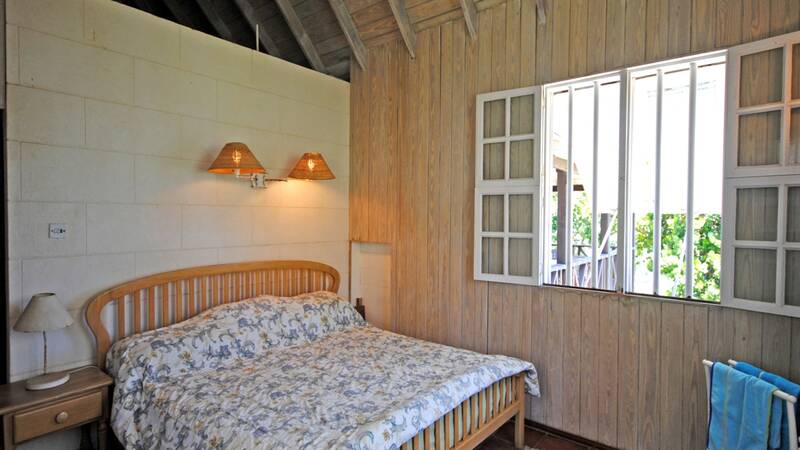 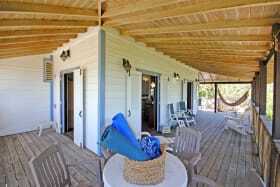 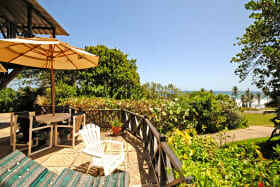 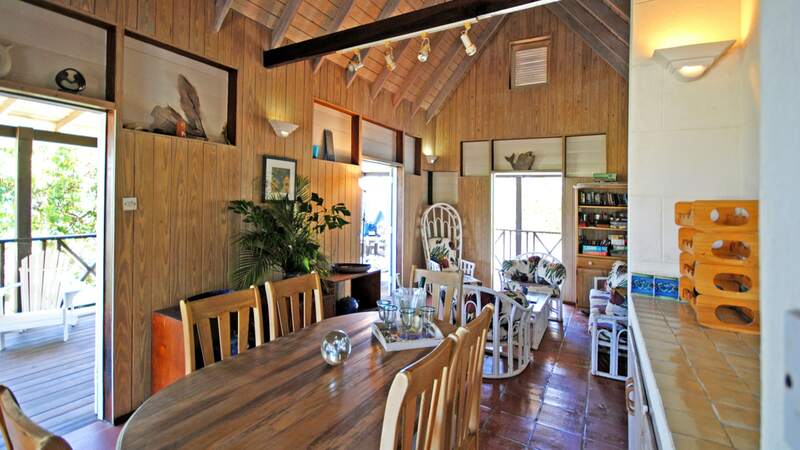 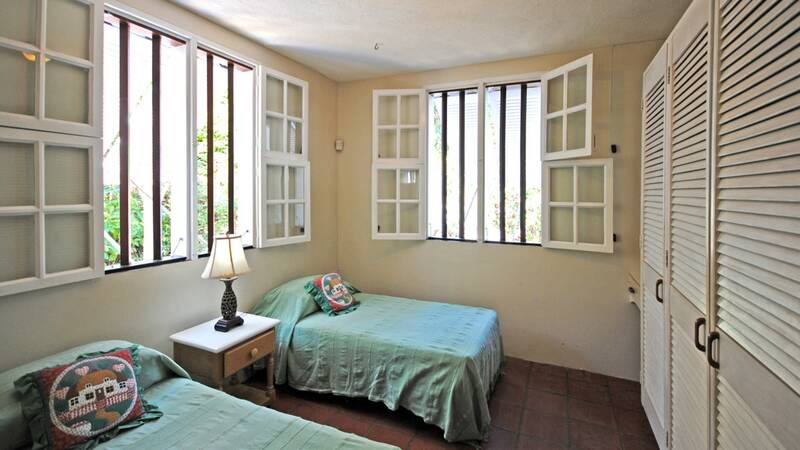 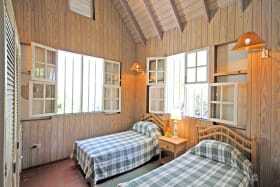 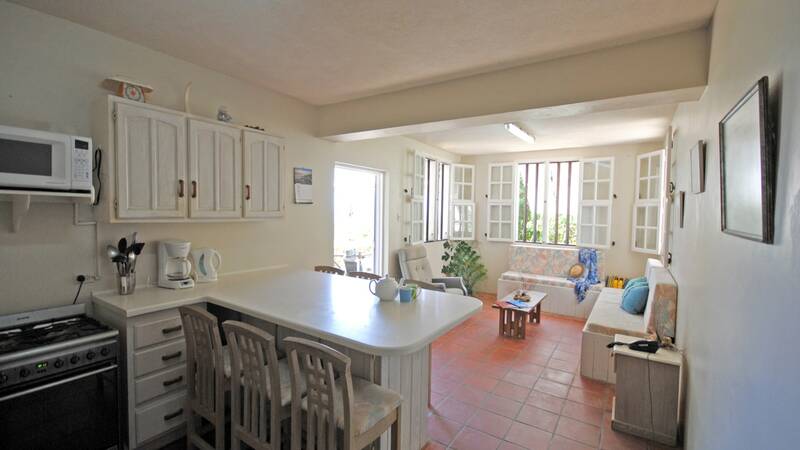 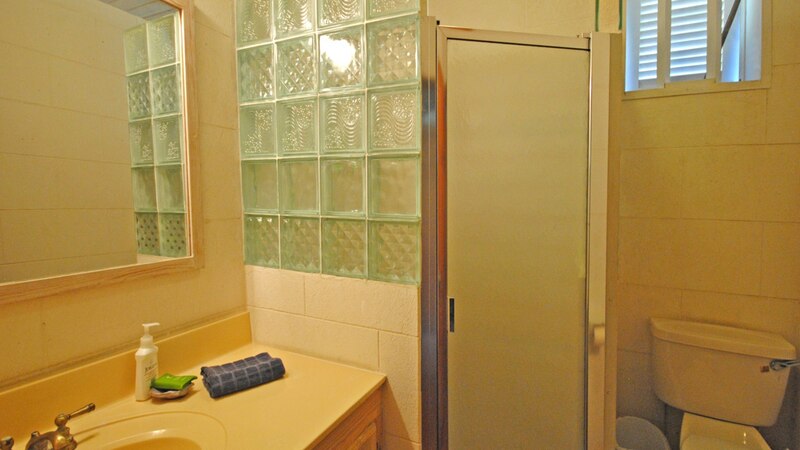 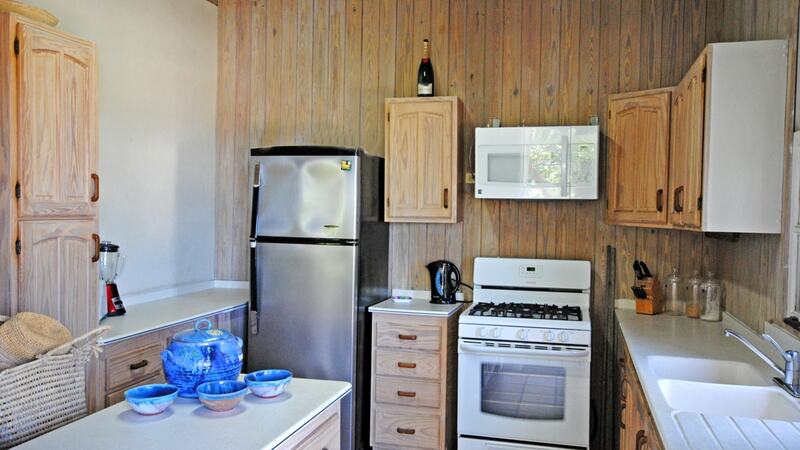 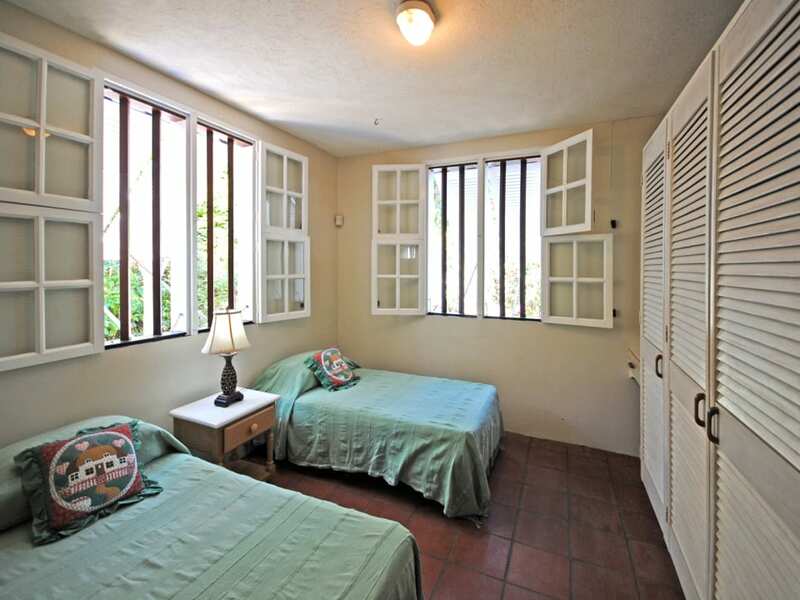 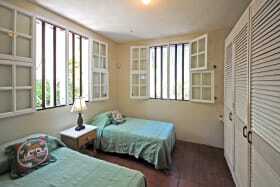 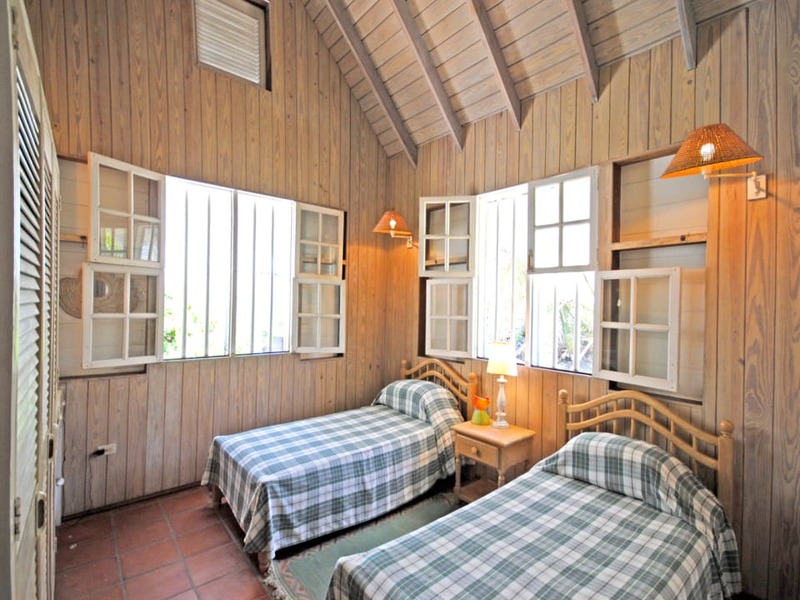 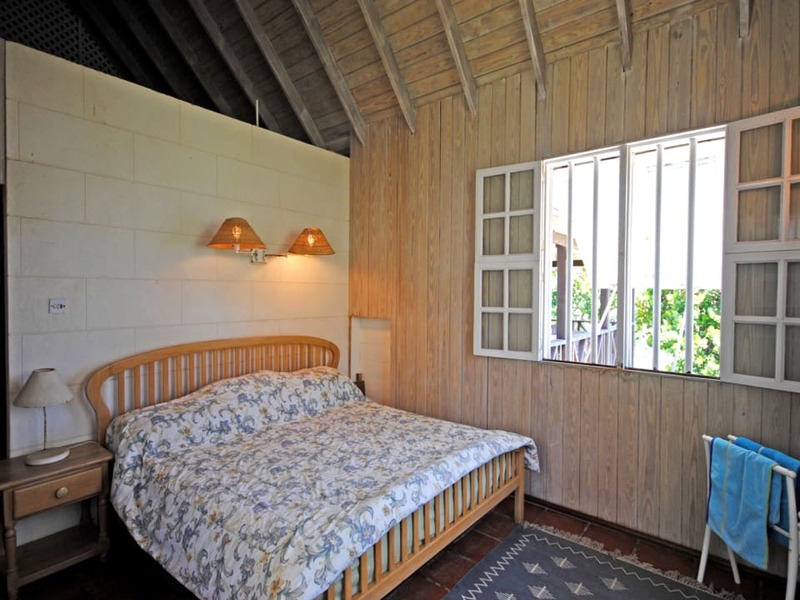 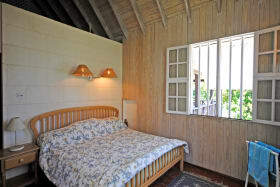 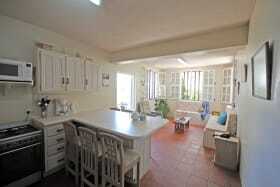 The interiors are typical beach house finishes and both apartments have well equipped kitchens. 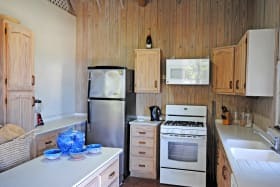 The property shares a paved driveway with the house next door and the incredible Cattlewash beach is just a very short walk away.